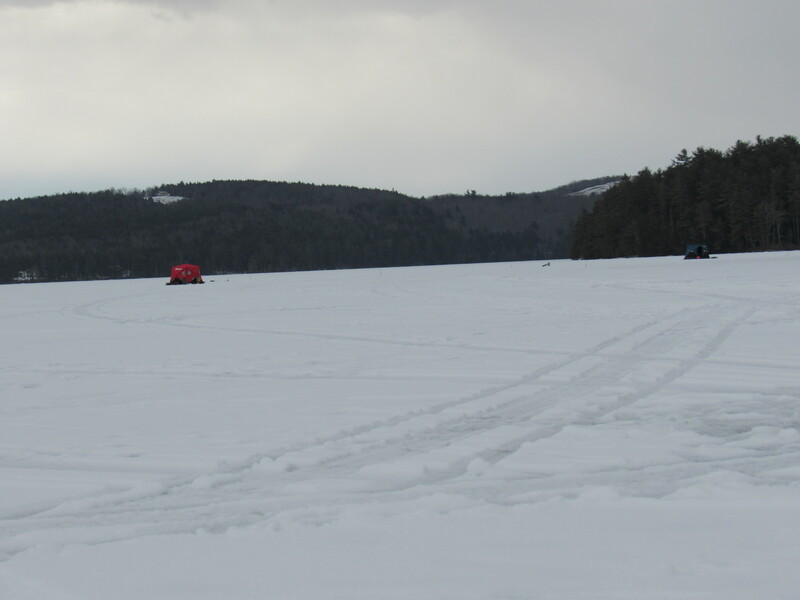 The way to spend a birthday here in Maine during the month of January, when the temperatures are low and the lake is good and frozen and the brook trout and salmon are hungry for baitfish and you have a family(extended family included!) 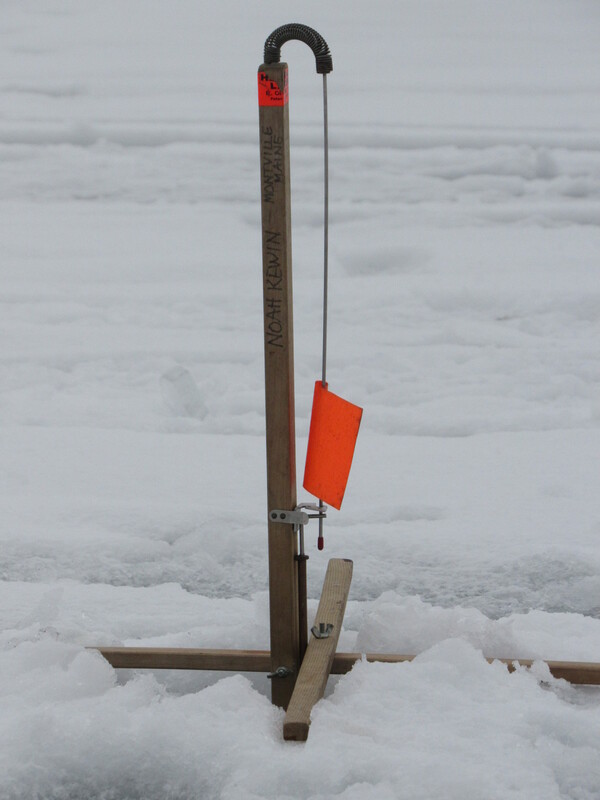 who are gung-ho for winter adventure, is to gather a sled and fill it with ice fishing traps and cast iron cookware and fresh eggs and bacon and a birthday cake and even a bit of champagne, and the wilderness tent with wood stove, and head out early to get a good spot on the ice. 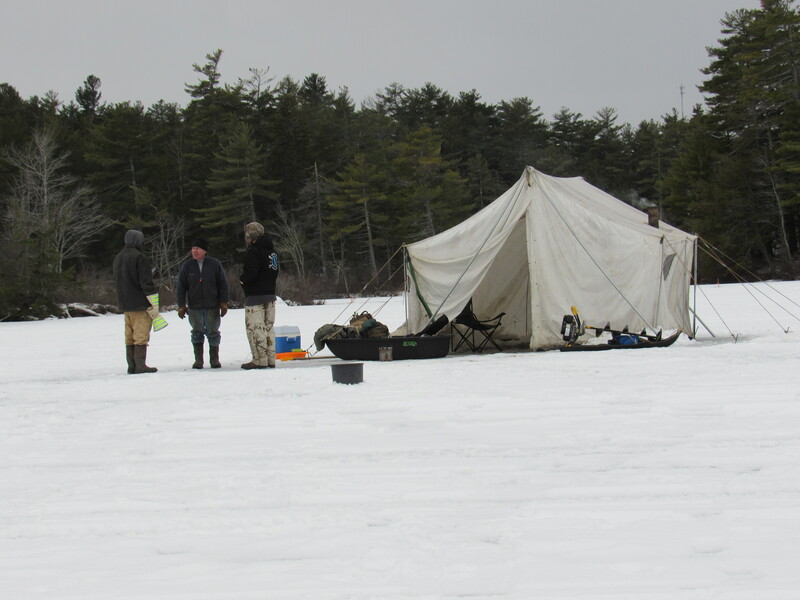 Then, everyone takes a job to get ‘camp’ set up, holes drilled, traps set, and bacon frying. 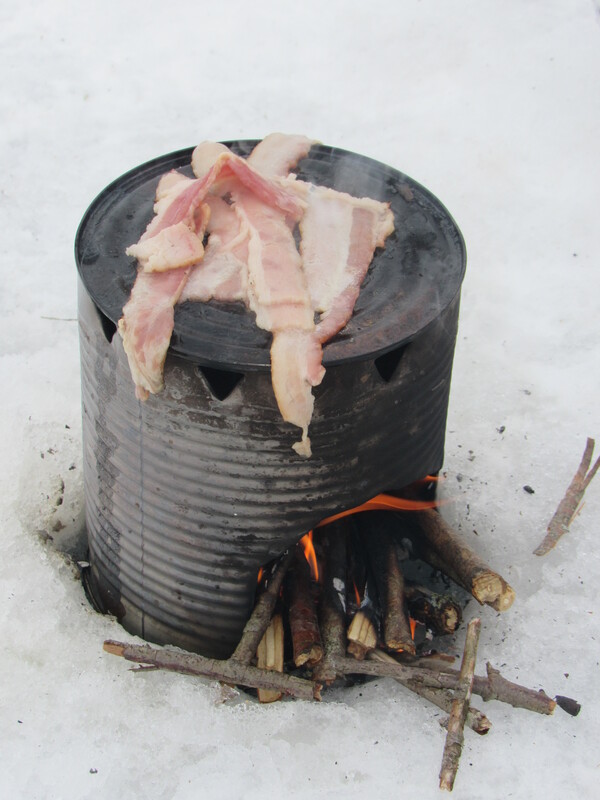 Best to throw in an enthusiastic 5-year-old who can endure a full day out on the ice (with glee and not one complaint of being cold or bored, by the way) to pull and whip around in a sled, to help pull the line up when a fish bites, and to cook the extra bacon strips on his home-made Hobo stove using a # 10 can. 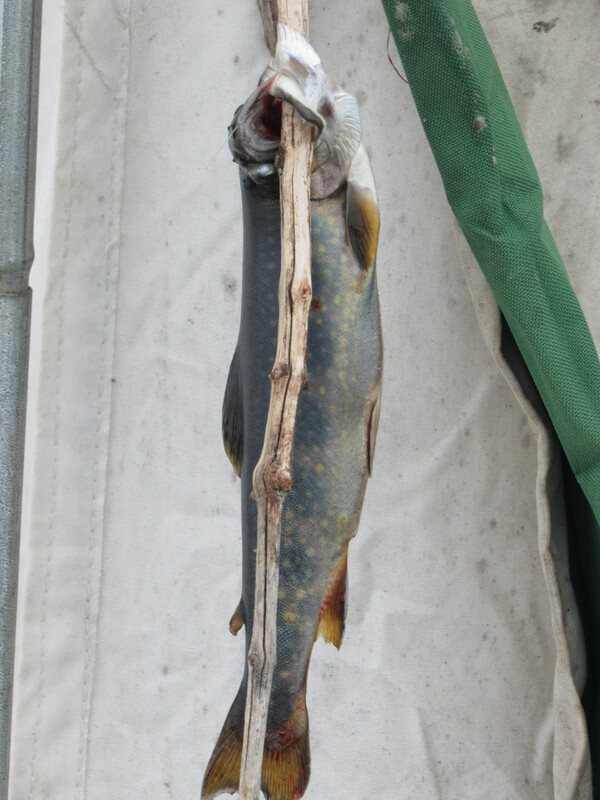 He ate everything he cooked, including one of the bait fish he decided to fry up as well. 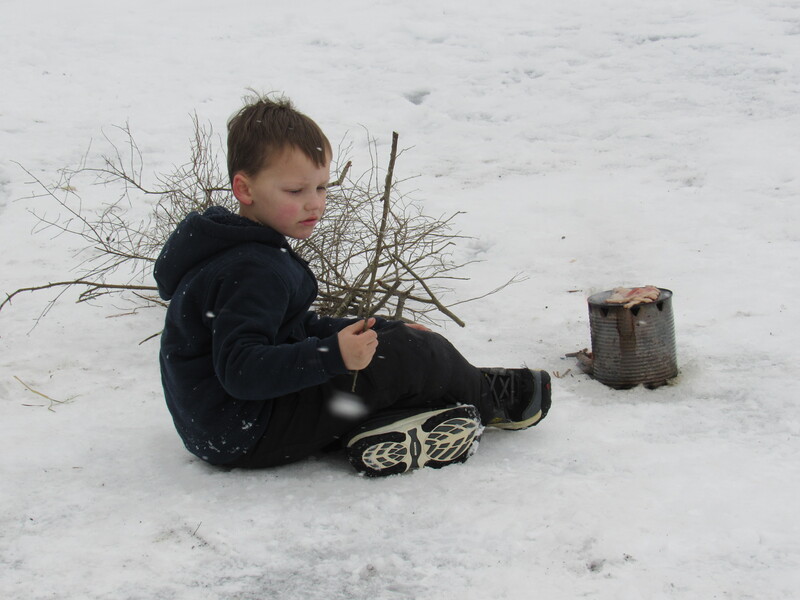 Already a well equipped outdoorsman, this one. Bravo, little friend! That’s the very best way to enjoy not just a birthday with people you love but to embrace this beautiful state we live in and the wonderful outdoors.